At 76, Brian Wilson could still make a crowded auditorium happy, even if he didn’t appear to be doing anything at all. 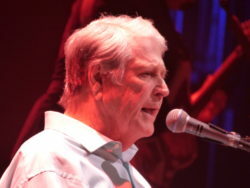 Having co-written and arranged dozens of hits for The Beach Boys and on his own, Wilson can get away with outsourcing songs he originated to other vocalists. He sat behind a baby grand piano as if he were an audience member instead of the star of the show. Criticizing Wilson for being odd is like chastising the Beatles for being English. It’s essential to his greatness, even if it can be disconcerting to watch. The distinctive harmonies in the songs he recorded with the Beach Boys are the result of defying convention. The fact that Wilson is deaf in one ear only makes his accomplishments seem even more formidable. It’s also worth noting that many Beach Boy songs like “California Girls” and “Wouldn’t It Be Nice” sound better in live performances now than they would have when the band and the session players from the Wrecking Crew recorded them over 50 years ago. The amplification to do those songs justice wasn’t around back then, and Wilson’s current band consistently performed them with both fidelity and spirit. The 11-piece ensemble behind Wilson juggled instruments and skillfully mimicked the harmonies Wilson originally created with his late brothers Dennis and Carl and cousin Mike Love. Fellow Beach Boy founder Al Jardine wound up taking most of the vocal chores that evening and seemed happier with ingratiating himself and the band with the crowd than Wilson did. Then again, Wilson seemed to have had the crowd’s attention by simply uttering “Hello, Kansas City” at the start of the show. Unlike musicians from the past who might have needed too much chemical help to get on stage, Wilson can at least still read a map. He and the band found a great venue. The Muriel Kauffman Theatre normally hosts classical performances, but Leonard Bernstein praised Wilson’s distinctive compositions as being worthy of the old masters, so they certainly belonged on that stage. If Wilson seemed only fitfully engaged, the rest of the band were eager to give the songs he had popularized justice. Jardine can still plaintively beg Rhonda to help him forget his ex and can fill in for passages that Carl or Wilson’s cousin and lyricist Mike Love used to sing. Wilson’s son-in-law Rob Bonfiglio ably delivers the falsetto portions of the songs that his father-in-law used to sing, and the other instrumentalists in the ensemble change instruments more frequently than most of us change our clothes. For “Good Vibrations,” the band even incorporated a delightfully eerie Theremin and played acoustic marimbas instead of keyboard samples. Darian Sahanaja, who helped Wilson resurrect long lost Beach Boys album Smile, played keyboards and figured out how to make studio trickery work live. The set also received a shot of adrenaline when South African singer-guitarist Blondie Chaplin hit the stage halfway through the set. A member of the 1970s incarnation of The Beach Boys, Chaplin tore through “Free Flows,” “Wild Honey” and “Sail On, Sailor,” stopping only to deliver some scorching guitar solos. Chaplin would return to harmonize on later songs, but he left the crowd craving more. Wilson seemed content to simply let Chaplin, Jardine and Bonfiglio do the heavy lifting. He still managed to deliver moving renditions of “God Only Knows” and his solo tune “Love & Mercy.” If you had written those haunting melodies, maybe you could afford to take it easy during the rest of the set. Opening band Beat Root Revival offered self-deprecating quips about opening for a titan like Wilson, but delivered a brief energetic set that featured solid covers and some touching originals. Englishman Ben Jones is a remarkably nimble guitarist, while Irish vocalist Andrea Magee provided most of the percussion and found new uses for a pennywhistle in her reinterpretation of Stevie Nicks’ “Dreams.” Her original tune “Forever” may have originated with her parents arguing about a piece of cheese, but it’s catchy and delightful even if you don’t know its origin. 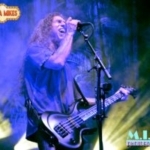 “Generation Axe” made a stop in the flour city on December 1st as part of the super group’s current US tour. Fresh off a successful tour of Asia the guitar dominant tour featuring Steve Vai, Yngvie Malmsteen, Zakk Wylde, Nuno Bettencourt and Tosin Abasi is total emersion in to all things guitar. From head spinning solo performances to face melting group jams “Generation Axe” packs a punch like no other. Given the reputation of the five guitarists who make up “Generation Axe” going in you can sort of guess what you are going to be in for however, it isn’t until you see the thirty plus Marshall amplifiers and various other gear that adorns the stage does it really sink in that “this might get loud”! From the opening notes of the Focus song “Hocus Pocus” (which featured all five talents shredding out of the gate) to the closing notes of Deep Purples “Burn” some three and a half hours later the near capacity crowd which filled the Kodak centers multi level venue were left slack jawed the near entire time. The performance moved rather smoothly as each of the five featured guitarists performed some of their more notable material before switching off with one of the other players. Animals As Leaders, Tosin Abasi opened the solo portion of the night with a furry of slap-tastic notes and uniquely timed transitions setting the stage nicely with songs from his bands catalog such as “Woven Web” and the popular “Physical Education”. Though he may have been the lesser known of the five Abasi let his music and technique speak earning him an impressive response from the audience. Extreme’s Nuno Bettencourt would take the stage next opening with the always fun to sing along to “Get The Funk Out”. 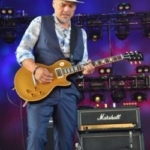 Nuno interacted sporadically with crowd and at one point teased them with the opening of the ballad “More Than Word” which he quickly stopped and joked that he would not be playing that tonight. 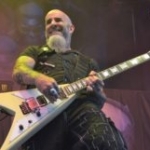 Probably the most impressive of Bettencourt’s session was the piece “Extreme Melody” which was taken from a You Tube fan compilation consisting of all of his solos. Before leaving the stage Nuno invited the bearded berserker Zakk Wylde up to play on “Sidewayst” which then gave way to the Ozzy Osbourne/Black Label Society guitarists own solo portion. Wylde’s set consisted mostly of Black Sabbath songs such as “NIB” and “War Pigs” before being closed out with an amazing rendition of Gary Moore’s “Still Got the Blues”. Wylde’s set was pure energy and crowd interaction as the golden haired front-man left the stage several times to jam in the audience and at one point even made his way to the over-hanging balcony to jam for the higher up fans. Steve Vai (the man behind Generation Axe) would follow taking the stage with a lighted guitar to the tune of “There’s a Fire in Here”. Vai’s solo portion was quite brief in that it only consisted of three songs however the man with six fingers delivered tenfold. 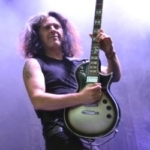 “Generation Axe” is a great night of guitar playing and music. Vary rarely do you get to see two of these performers in the same place at the same time let alone all five. Equally impressive is the groups backing band consisting of Bassist Pete Griffin, Keyboardist Nick Marinovich and drummer JP Bouvet. The band performed a wide range of complex material the entire night never missing a beat and gave the five virtuoso guitarists the perfect foundation to build on. 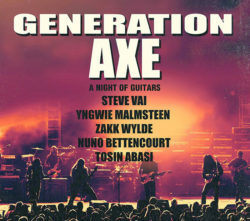 If “Generation Axe” is coming to your town get you and/or that loved one tickets to the show as you won’t be disappointed. During an introduction a few years ago on CBS’s “Late Show with David Letterman,” the now-retired host said this about the Foo Fighters, “We can all sleep easy at night knowing that somewhere at any given time, the Foo Fighters are out there fighting Foo.” With founder Dave Grohl at the helm, Foo Fighters did plenty of that and then some in front of a packed audience for three wild hours on Friday night (Oct. 12) at the Sprint Center in downtown Kansas City, Missouri. After hitting the multi-generational crowd with three songs – “Run,” “The Sky Is a Neighborhood” and “La Dee Da” – from their ninth studio album “Concrete and Gold,” Grohl, who somehow manages to not blow out his vocal chords, took a break from wailing to let drummer Taylor Hawkins perform an epic solo, which was upon a miniature stage that rose a couple stories above the main stage. This led into “Something From Nothing,” also from their current album, before Grohl and company – bassist Nate Mendel, guitarist Pat Smear, Hawkins, guitarist Chris Shiflett, and keyboardist Rami Jaffee – took the Sprint Center on a rock journey across their 23-year music career. Using just the right amount of laser lights and other visuals to complement their music, the Foo Fighters often went on extended, improvised versions of such classic hits as “The Pretender” and “Learn to Fly.” Without missing a beat, the audience was impressively able to sing every song word for word when called upon by Grohl, who once again proved he is a master showman. Some singers can bore you to tears when they decide to stop and talk in between songs. Grohl is a brilliant exception. Even with plenty of f-bombs to spare, Grohl, much like he did while sitting in a guitar throne three years ago during their last Sprint Center appearance, kept his spectators engaged and entertained. The Foo Fighters took a break from their hit parade to allow each band member to have their own feature solo. No one in the house was disappointed as they demonstrated masterful musicianship, highlighted by a fantastic rendition of “Blitzkrieg Bop” with Smear taking the lead and “Under Pressure” with Grohl on drums and Hawkins on lead vocals. However, perhaps no more fun was to be had than when Grohl explained how important music can be to healing differences with Jaffee playing “Imagine” in the background. With everyone expecting to sing along with the John Lennon classic, Grohl surprised everyone by doing Van Halen’s “Jump” lyrics to the music of “Imagine,” again showing their versatility and playful side. If there is a way to age gracefully, it might be to simply admit you’re no longer young. 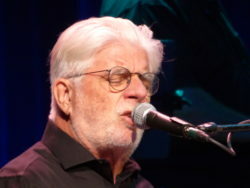 Throughout his 90-minute set at the Lied Center at the University of Kansas in Lawrence, Kan., on August 12, Michael McDonald made no attempt to pass himself off as anything other than a 66-year-old man. With a crowd that was primarily within throwing distance of that number, that wasn’t a problem. Part of the reason McDonald can still put on a good show is that he and his tunes were always for grownups. 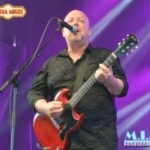 In both his solo work and his songs with his former band, McDonald has always sung about heartbreak that’s long removed from the teenage experience. In “Real Love” and “What a Fool Believes,” McDonald softly laments he or someone else has broken up and that it has happened many times before. This may explain why the songs still sounded good last Sunday night and why people who aren’t trying to recapture their youth can listen to him without embarrassment. McDonald’s smooth as marshmallows delivery doesn’t deserve the label of “yacht rock,” because his roots are in St. Louis where the river vessels look a little different. As he performed new tunes from last year’s Wide Open album like “Hail Mary” and “Just Strong Enough,” McDonald’s voice cracked just enough to prevent his band from slipping into easy listening. For the latter he even stood up from his piano stool for a few seconds, giving the song a feeling of vitality that wouldn’t occur if he were sitting like the audience. It also helps that McDonald still has his vocal chops and nimble fingers. When he broke into familiar tunes like “Minute by Minute,” he’d begin them by adding jazzy touches to keep the arrangements from seeming too robotic. He also avoided hogging the spotlight. He’d usually leave the showiest solos to guitarist Bernie Chiaravalle, sax player Mark Douthit and keyboardist Pat Coil. The three put just enough of a sting in the arrangements to keep the songs from being mellow enough to induce napping. Rheneé had the unenviable task of replicating Patti LaBelle’s verses during the Burt Bacharach/Carole Bayer Sager hit “On My Own,” which may be most ironically titled duet ever. Fortunately, she easily kept up with LaBelle’s vocal gymnastics. McDonald’s midwestern drawl is surprisingly clearer than his singing voice, but his stage banter was remarkably sincere. Having grown up in the St. Louis suburb, Ferguson, Mo., his later performance of Marvin Gaye’s “What’s Goin’ On” was expectedly moving, and he was clearly aware the issues Gaye lamented are sadly still with us. Thankfully, so is McDonald, who helped open the Lied Center’s 25th anniversary on a high note. One of the biggest names in punk rock the Descendents kicked off another leg of their ongoing “2018 Tourage” tour on August 3rd at the River Works Complex in Buffalo, NY, The tour which first kicked off in April of this year and has the So-Cal punkers playing all around the US and various other countries through December. Also on the bill for the evening was the Massachusetts based A Wilhelm Scream and the Scott Reynolds (ALL) fronted Pavers. 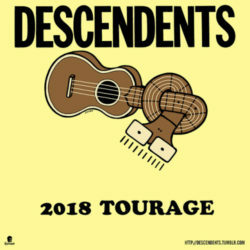 Having never had the chance to see the Descendents before I jumped on the opportunity when it was announced they would kick off a new leg of their current “Tourage” tour in nearby Buffalo. The bands famous Milo logo adorned my skateboard growing up so it was great to finally see a band I had been following for so long. Opening up the show was former ALL front-man Scott Reynolds recently re-formed group the Pavers. Though the band had a couple rough spots during their thirty minute set Reynolds kept things moving like the seasoned veteran he is forging forward with a smile on his face which showed the growing crowd he and his band mates were there to have fun doing what they love performing tracks from the groups various albums. With little time between sets and down one member due to a missed flight A Wilhelm Scream hit the stage with a burst of energy that instantly ignited the multi-generational crowd. 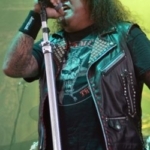 Vocalist Nuno Pereira worked the stage left, right and up and down for that matter as the front-man was in constant motion adding to the bands fast paced, frantic approach. Even if the band was starting out one in the hole you would have never know as the band sounded great and were extremely tight as they helped bring the crowds energy to an even higher level. Last but not least the Descendents took the stage helmed by founding member drummer Bill Stevenson and long time vocalist Milo Aukerman. For the next ninety minutes the band completely shredded over thirty five classic Descendents tunes including “Clean Sheets”, “Coffee Mug” and the guitar-tastic “Coolidge”. 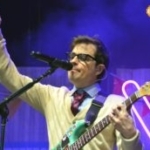 After the bands initial twenty nine song set fans were treated to a mini ALL reunion when former vocalist Scott Reynolds joined the Descendents (Minus Aukerman) for renditions of the ALL songs “Fool” and “Dot”. Needless to say this caused the crowd (myself included) to go absolutely nuts. After the brief reunion Aukerman would return performing probably my two favorite Descendents tracks “Bikeage” and “Good Good Things” along with a handful of other great tunes before taking their bows and waving goodbye. 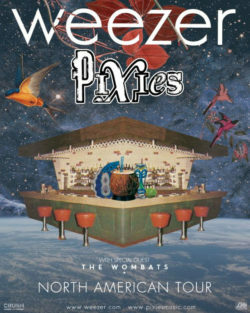 It was clearly a night of nostalgia and fun as each of the bands on the tour brought their own unique brand of punk rock to the near capacity Buffalo venue. With the Descenedents history stretching back to 1977 it would be expected for them to lose a step or two however the band sounds just as fresh and powerful as they did at their inception. With the tour running the remainder of 2018 you owe it to yourself to catch one of the many shows scheduled on the “Tourage” run as it is the perfect setting for ALL generations of punk loving fans. 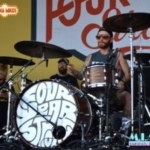 The long running Vans Warped Tour made its final appearance at the Darien Lake Performing Arts Center on July 25th providing long-time attendees just one last opportunity to enjoy a day of fun in the sun while listening to a wide range of music acts. Though the day kicked off under foreboding skies it certainly didn’t stop eager fans from rushing through the gates in an effort to get one of the festival six stages which were spread strategically throughout the sprawling outdoor venue. 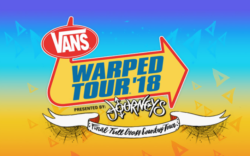 One of the last if not only traveling festivals in the United States announced earlier this year that after twenty plus summers 2018 would be the final run of the Vans Warped tour. The festival which began in 1995 served as the summer highlight for many alternative music fans like myself and even though this year’s line-up on paper wasn’t as stellar as years past there still was a little something for every era of warped tour fan. Right away you could tell that the day was going to be unique as the diverse crowds ranging from hoards of middle/high schooler’s to entire families and all ages in between were present and ready to take in the music. 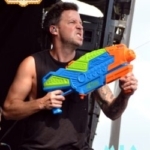 Highlights of the day included and earlier afternoon set by longtime Warped tour performers Less Than Jake whose set was full of fun upbeat moments which included water cannons and toilet paper blowers. Guitarist Chris Demakes even took time to thank the Buffalo crowd for all their support of the band and the tour going back to the days when the event was held in Le Salle Park. Other notable performances included a ten song set from Buffalo’s favorite sons Every Time I Die. The group which took the stage flanked by family and friends blistered the crowd with a high intensity, aggressive set which came to a close with guitarist Jordan Buckley crowd surfing on a cabinet top while playing the final notes of the bands closing song. As the day started to wind down I took in sets by crowd favorites Simple Plan who played a brief greatest hits set which was a lot of fun and included a bevy of black and white beach balls which was only fitting given the occasion. 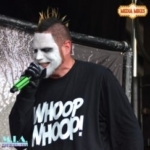 Shortly after we checked out sets by the Massachusetts based Four Years Strong, metal-core legends Unearth and the face painted duo of Jamie Madrox and Monoxide collectively known as Twiztid. There set was a nice break from the crunching guitars and thunderous double bass kicks as those were replaced by thumping bass beats and tongue and cheek lyrics which were quite comical. Before calling it a day we checked out the always energetic and entertaining Nekrogoblikon. 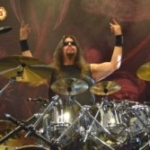 The group performed a couple of songs of their most recent release “Welcome to Bonkers” before breaking in to their back catalog which consisted of “No One Gets Out Alive” and “Powercore”. 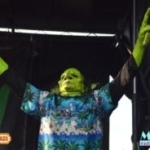 The groups green skinned mascot John Goblikon made several appearances both on stage and off as he helped the band and fans get the most out of the shred-tastic thirty minute set. As the sun started to set on the final Buffalo stop of the Vans Warped tour it made me think back to the previously attended years and the fun that was had. Often sun burned, sweaty and always with ringing ears memories from seeing bands like NOFX, Bad Religion and Rancid in the tours early years to more recent tours with bands like Masked Intruder, Of Mice and Men and Teenage Bottle Rocket. The Vans Warped tour really was the place to be during the summer and this one was no different and, while the tour may come to a close for the final time on August 5th in West Palm Beach, FL myself and thousands of other attendees will always have the memories that the Vans Warped tour set the stage for. So long Warped tour and thanks for the memories. 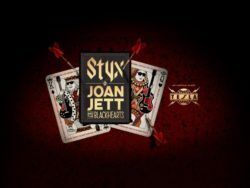 Legends of Rock Styx, Joan Jett and the Blackhearts, and special guests Tesla made their stop in Syracuse, NY on June 28th at the beautiful (newly renamed) St. Joseph’s Health Amphitheater at Lakeview. The venue was packed with fans from all walks of life, eager to hear their favorite hit songs. The beautiful summer night was the perfect background for a concert such as this. The true dominating force on the night was hands down Styx as their set was nothing short of captivating. All eyes were glued to the veteran performers as they played hit after hit including the return of “Mr. Roboto” a song which had been missing from the Styx live show for sometime. As the band performed song after song each member brought their own signature flair to the nights performance. From scene-stealer, Lawrence Gowan’s spinning and dancing to James Young’s soaring guitars solos not to mention the always captivating Tommy Shaw and thunderous bass sound of Ricky Phillips. 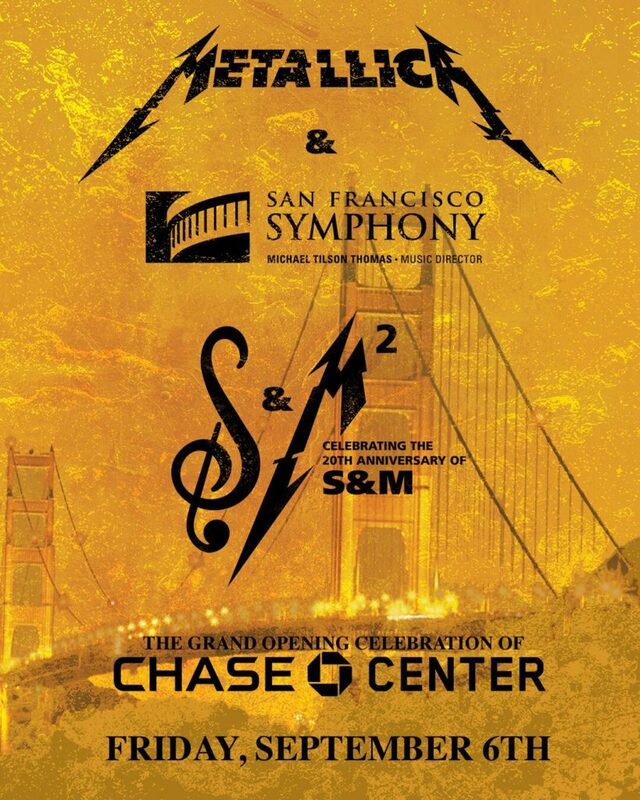 All this performance power combined in one band made for a very memorable evening. All three bands gave top-notch performances on this beautiful night by the lake with plenty of singing and swaying making for great concert experience. This is definitely a show I will be talking about for some time and I highly recommend checking out these veterans when they come to your town. With the rarity of both headliners playing each of these albums (Nightbringers/This Is Exhile) in their entirety it was well before the first notes rang out that those in attendance knew they were in for a treat. Shadow of Intent opened up the evening with a brief yet ferocious set which was the perfect catalyst the evening ahead. Aversions Crown would follow performing tracks from their new album including the song “The Breeding Process.” Standout Italian metallers Fleshgod Apocalypse were a welcomed breath of fresh air which helped diversify the bill. Drummer David Falchitto was an absolute show stealer throughout the set especially on the song “The Violation.” If you have never checked out this band before defiantly give them a listen. The Black Dahlia Murder would hit the stage next where they proceeded to rip through their latest album “Nightbringers”. 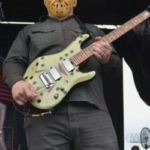 Highlighting the set were songs such as “Catacomb Hecatomb” and “The Lonely Deceased”. 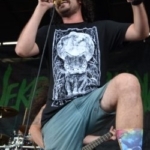 Longtime fans worry not, as the band did sprinkle in a few classic ragers including “Everything Went Black” and “Deathmask Divine.” The Black Dahlia Murder continues to execute their live sets masterfully earning them status as a modern death metal powerhouse. Whitechapel would close out the night with a full performance of their second album “This Is Exile”. The universe imploded when vocalist Phil Bozeman and crew unleashed the crushing “Possession” which fueled the bands momentum as they continued on through the night. I have to admit that I was a bit skeptical upon first hearing the band was performing this album in whole. However, it transitioned very well live and the band delivered on all levels. 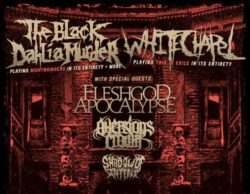 This tour is an absolute must see for fans of Whitechapel and The Black Dahlia Murder. Fans of modern death metal, metal-core, and slam will not be disappointed as the package has a little something for everyone so if the tour is in your town I highly suggest you check it out! Thirty years ago, I wanted to kill a fellow editor at my college newspaper because he went missing the night before the semester’s final edition was due at the printer. When I woke him the next morning, I became even more enraged because he and decided to catch a concert without telling me or my peers, and it was Poison. Had he abdicated his responsibility for Todd Rundgren, Pink Floyd, The Rolling Stones or The Smiths, I might have excused him. But no, it had to be that silly hair band whose songs about partying were relatively easy to play. Another friend who had seen them play, lamented their musical limitations by dubbing guitarist C.C. DeVille “C.C. Distortion” for his sloppy solos, and an another buddy laughed when he saw concert footage of them on MTV and observed they were playing beginners’ instruments. 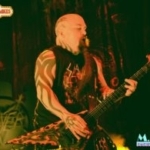 Because my own musical chops are stunted, I’m not sure what was so embryonic about what axes Poison used to play. Nonetheless, we both felt smug as we continued to watch them perform on television. After finally seeing the band play for myself on May 25 at the Sprint Center in Kansas City, I think I can now easily forgive the other editor. Of course, we still made our deadline. I can also say I don’t envy him because the performance I caught might have been better than the one he saw. Now that their hair has grayed (where it still remains), the band has actually developed some skill and showmanship that wasn’t in their old videos. Lead vocalist Bret Michaels constantly thanked the crowd and rattled off other area venues where he played with the band or as a solo act. It’s always nice when the band knows they’re on the Missouri side of the state line and can recall something about your town other than a stage. Cheap Trick, who played before them, one-upped the headliners by claiming they had written a recent tune after eating at Gates Barbecue, a blue collar eatery when the clerks greet you as loudly as if they were playing the Sprint Center. Unlike the musicians, the clerks don’t need microphones. Michaels and the rest of Poison gave the crowd high fives throughout the set and genuinely seemed to enjoy being in the barbecue capital of the world. The band have had personnel changes and breakups, but the original lineup were all performing that evening. The set seemed oddly touching when Michaels briefly mentioned that drummer Rikki Rockett had survived cancer. Both he and bassist Bobby Dall looked healthy and enthusiastic, so it was a jolt to hear that Rockett, who regularly tosses his drumsticks in the air and twirls them between beats, almost didn’t make it to the stage. Because I was attempting to photograph the show from a pit at the bottom of the stage, I almost felt sorry for people in the back of the arena who couldn’t see what he was doing. When he later played an extended toward the end of the set, it made Michaels’ revelation all the more touching. Michaels, who had a series of frightening health problems of his own in 2010, is also lucky to be alive. Perhaps that’s why their enthusiasm seems genuine. Playing in front of a house that can hold 19,000 people sure beats lying in a hospital bed or worse. While Poison can play their old hits like “Every Rose Has Its Thorn” or “Talk Dirty to Me” with more technical assurance than they used to, they do little more than plow through their old catalog. They did supplement their set with a large video screen that featured cartoons of the band before they took the stage. Their cover of Loggins and Messina’s “Your Momma Don’t Dance” proved to be a great excuse to feature the late pinup queen Bettie Page shimmying as they played. With Bettie just about any band would sound as good as the Stones on their best day. Following a typically lively set by Cheap Trick requires a masochism few bands have. The three original members are all in their sixties and still have their old skills. Whereas DeVille impressed the crowd by mimicking Eddie Van Halen’s finger tapping and slipping in a bit of Edvard Grieg’s “In the Hall of the Mountain King,” Cheap Trick’s Rick Nielsen switched genres, playing styles and even guitars. The 69-year-old ax-man didn’t need a featured solo break because just about every song gave him a workout. Oh, and while he was playing tunes like “Dream Police,” he was also tossing out picks at the crowd. Somehow his poses, witty asides to the crowd and acts of violence involving small pieces of plastic, never caused him to skip a note or detract from a solo. How he managed to hit me in the pit with a pick and get through the set at the same time baffles me. Dall treated the crowd to his own version of Henry Mancini’s theme to The Pink Panther, but Cheap Trick bassist Tom Peterson gave his 12-string instrument a thorough workout and even sang a powerful medley of The Velvet Underground’s “Waiting for the Man” and “Heroin.” Nielsen complemented Peterson’s work with some tasteful slide solos, which lead vocalist Robin Zander accompanied with his own acoustic 12 string. Zander happily took a break because during the rest of the set he still pushed his voice to its limit. Thankfully that limit seems superhuman. If his throat cracked a couple of times, he can still effortlessly reach high notes and make 40 to 30 year old songs sound fresh and committed. If you’ve caught Cheap Trick in the past or have listed to At Budokan to the point where you’ve memorized all the words, their current shows are still worth catching. 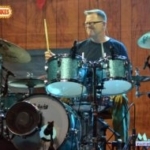 Daxx Nielsen, Rick’s son, has ably replaced Bun E. Carlos on drums, and Zander’s son Robin Taylor fleshes out the band’s harmonies and played most of the rhythm guitar parts. Thanks to That 70s Show, the band have a few songs (like their version of Big Star’s “In the Street”) that are more recent than anything Poison played, and the samples from their newer albums Bang, Zoom, Crazy… Hello (2016) and We’re All Right! (2017) fit seamlessly in with their hits. Radio stations may ignore their most recent offerings, and it’s the broadcasters’ loss. They also surprised the crowd by featuring the Melvins, who joined them for a rousing version of “Surrender.” Drummer Hayley Cramer from opening band Pop Evil even joined the bands as they gave the 40 year old chestnut all they had. As lead singer Leigh Kakaty kept reminding the audience, Pop Evil from North Muskegon, Michigan, have been around for a decade. While Kakaty lamented the empty seats on the floor (that were filled when the headliners arrived), and the rest of the ensemble still approached their set with vigor and enthusiasm. 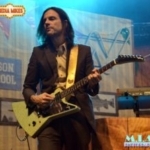 He opined that the newer generation should learn, “There is a difference between a Gibson guitar and a motherfucking Apple computer.” Fortunately, he and his crew of analog performers and the bands that followed made an eloquent case for that argument. The tour moves from Kansas City to Pryor, Oklahoma and continues for the summer. For more information and upcoming tour dates, click HERE. 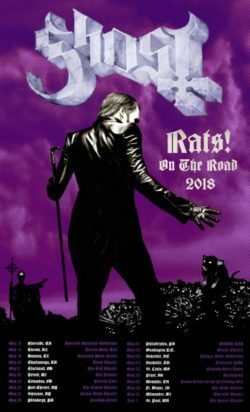 Grammy award winners Ghost brought their love of theatrics and Lucifer to the city of Syracuse, NY on May 16th as part of their current “Rats! on the Road” tour. The tour which features Ghost with no opening act is an intimate fan pleasing experience that needs to be seen in-person to truly understand the bands power of performance. The evening was filled with spectacular moments featuring several new songs from the bands upcoming release “Prequelle” including “Rats”, “Spirit “and, “Dance Macabre”. Fan favorite Papa Nihil made an appearance on the song “Miasma” providing a smooth saxophone solo that would have brought Kenny G to tears. The nameless ghouls shined throughout the night, each interacting with one another for some great moments including a stellar and a good ole fashion acoustic sing along to “Jigolo Har Megiddo”. All of the hits were present in the extended 24 song set which was nicely split into two acts complete with an intermission. Despite all of the drama that unfolded within the band last year, Ghost is still steamrolling forward and staying very true to themselves. The band continues to up their game each time they embark on. If “Rats! On the Road” comes to your town we suggest clearing your schedule and grabbing some tickets. Thirty years ago, I wanted to kill a fellow editor at my college newspaper because he went missing the night before the semester’s final edition was due at the printer. When I woke him the next morning, I became even more enraged because he and decided to catch a concert without telling me or my peers, and it was Poison. Had he abdicated his responsibility for Todd Rundgren, Pink Floyd, The Rolling Stones or The Smiths, I might have excused him. But no, it had to be that silly hair band whose songs about partying were relatively easy to play. Cheap Trick, who played before them, one-upped the headliners by claiming they had written a recent tune after eating at Gates Barbecue, a blue collar eatery when the clerks greet you as loudly as if they were playing the Sprint Center. Unlike the musicians, the clerks don’t need microphones. The tour heads to Pryor, Oklahoma for their next gig. 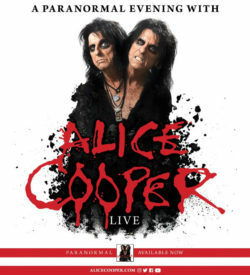 For more information and other tour dates, click HERE.